My sister and I have a rule – never pass a lemonade stand without buying something. As a mom of three teenagers, I understand the importance of teaching kids at an early age to learn what it's like to make their own money. The problem is, as parents, we often get caught up in the fun of doing an activity with our children and don't take advantage of these teachable moments. Your children's first “business” is a great time to teach them the difference between revenue and profit and to talk to them about how to split their earnings with their siblings and friends and other "co-workers." With my sister JJ Ramberg, who is the host of Your Business on MSNBC, a program which covers entrepreneurship, and the founder of the company Goodshop, I recently co-wrote the book The Startup Club, a fun early-reader book about a group of kids who start a business and all the ups and downs that go along with it. Our intention was to create characters who young children can use as role models when they come up with their own ideas. And, once they’re done reading the book, your kids will know that when they launch that company, they need to pay you back for the supplies! 2. Dog walking. Depending on where you live, and how old your child is, you may need to go with them on these walks, but it’s a nice way to get to spend some outside time with them going around your neighborhood. Again, have a conversation with them about how to set the price. 3. Lemonade stand: An oldie but goodie. 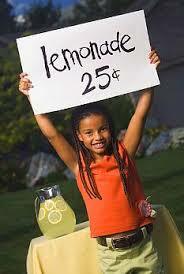 Talk to them about how to make their sign different than any other lemonade stand and how that is called marketing. Or have them sell something alongside the lemonade like homemade cookies. Also, don’t buy the supplies and then bring them home for them – have them take the lead every step of the way. 4. Design stationary: Kids are great artists. They can draw something and you can take it to the printer to turn it into cards. Granted, you may not be able to sell this on the street, but they may be able to find some relatives and some of your friends who would be interested. 5. Watch younger kids: Even if your child is only 7, there is probably a mom or dad around who would be thrilled for your child to play with their four year old while they get some errands done around the house (with a watchful eye of course). 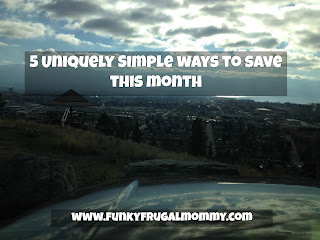 When they earn their first money, don't forget to talk to them about the concept of Share, Save and Spend!